Martinus Willem Beijernick was born on March 16, 1851 in Amsterdam, Netherlands. Beijernick's father's tobacco business also failed that year and the family moved to Naarden, where he found work as a clerk working for the Holland Railway Company. Due to the family's financial situation Beijernick was educated by his father until he was 12 when he went to elementary school and then secondary school in Haarlem. With the encouragement of his science teacher Beijernick developed an interest in botany and at 15 he won a prize for his collection of plant samples that included 150 different species. With the help of his family, Beijernick entered Delft Polytechnical Academy and although he studied chemistry his main interest remained botany. While there he met J. H. Van Hoft who he remained friendly throughout his career and served as an adviser to Beijernick. Beijernick earned a bachelors in chemical engineering in 1872 and then when to the University of Leiden where he earned his doctorate in 1877. While working on his doctorate Beijernick taught, but he was a poor teacher who berated his students for wrong answers and he did not remain in one teaching position for long. In 1885 Beijernick became a microbiologist at the Netherlands Yeast and Alcohol Manufactory in Delft. 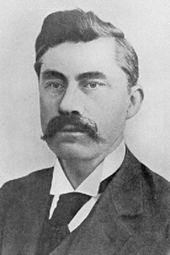 In 1895 he established the School of Microbiology at Delft Polytechnical. Beijernick was unique among microbiologists at the time in that he researched the microorganisms that affected plants rather than those that affect humans. He was the first to discover that viruses were smaller than bacteria when he found that he was unable to filter the tobacco mosaic virus unlike bacteria. He was the first to isolate a sulfate reducing bacteria, the first microorganism that did not use carbon as a source of nutrition. He was also the first to isolate bacteria that complete nitrogen fixation. Nitrogen gas makes up 78% of the atmosphere but because the nitrogen-nitrogen bond is so stable nitrogen gas does not react with other atoms. Nitrogen fixating bacteria reduce nitrogen gas to become ammonia, which can react with other atoms and is used by plants as a nitrogen source. This is an important source of nitrogen, that is used to make amino acids, which are used to synthesize proteins by living organisms. Beijernick retired in 1921 and died on January 1, 1931. Johnson, James; "Martinus Willem Beijernick: 1851-1931"; retrieved from apsnet.org.